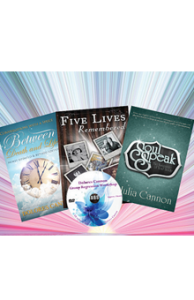 Dolores Cannon is a past-life regressionist, hypnotherapist, author and speaker. This interview was done during her 2011 UK tour in Cardiff. She has helped many people all around the world to understand the problems and issues we face in our current life by firstly understanding our past. Dolores has studied the various hypnosis methods and thus developed her own technique which enabled her to gain the most efficient release of information from her clients. She is now teaching her unique technique of hypnosis known as the ‘Quantum Healing Hypnosis Technique’ throughout the world. Dolores has been a UFO investigator for over twenty-five years, using her skills as a regressionist to help people that had been involved in abduction cases. She has written several books on the UFO information volunteers have revealed while under hypnosis. Many of her 17 books are translated into over twenty languages.